Sports day takes place in most primary schools at this time of year. It is a special day and lives long in the memories of our young pupils in Ireland long after the fantastic English and math lessons are forgotten. Sports day 2017 will forever be in the heart of our teacher Mary Lonergan. Mary is retiring on 30th June 2017 after a long and successful career of primary teaching. She worked in Cork and Roscrea and then has served as teacher at St Brendans PS for the past 20 years. Along with being an amazing teacher , Mary has a great passion for sports and their value to a healthy lifestyle. Each year her sports day that she organises in our school is a highlight of the school year for many pupils. It is all team based and focuses on participation and enjoyment with fair-play and encouragement awards presented along with the standard prizes. 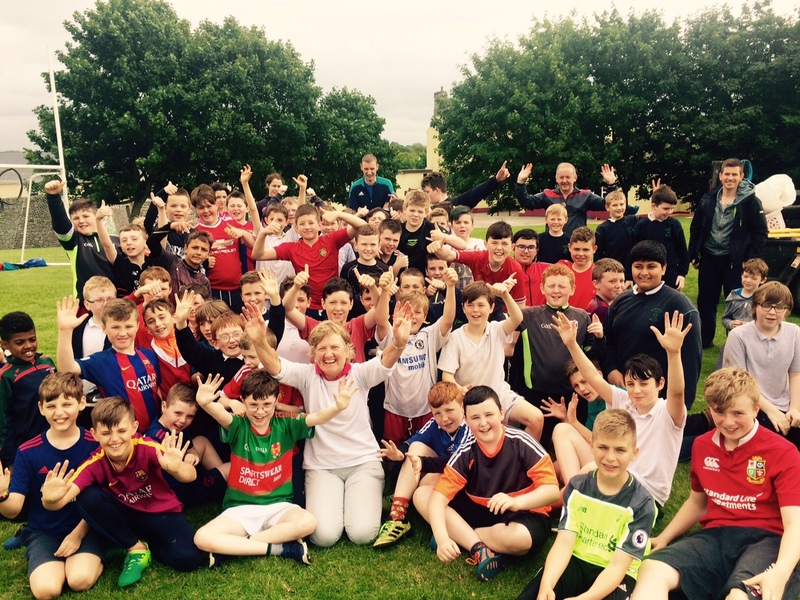 Pictured is Mary last Friday at her final sports day with us with some boys from our senior classes- the smiles tell the story by themselves. Mile buiochas Máire don na laethanta spóirt go léir. Do you need help with your child’s maths? If you are feeling a little rusty or unsure about your child’s maths or other subjects, I can give you some help. The curriculum has changed a lot over the past number of years and the approach to maths is a little different. I can meet you in St Brendan’s Boys School by appointment. Just contact me, Margaret Fitzgerald, Home School Community Liaison Coordinator, on 086 6045024 to organize a suitable time and I hope I can help you out! You can also email me at hsclbirr@gmail.com. Congratulations to all the parents who baked festive Christmas Cakes. 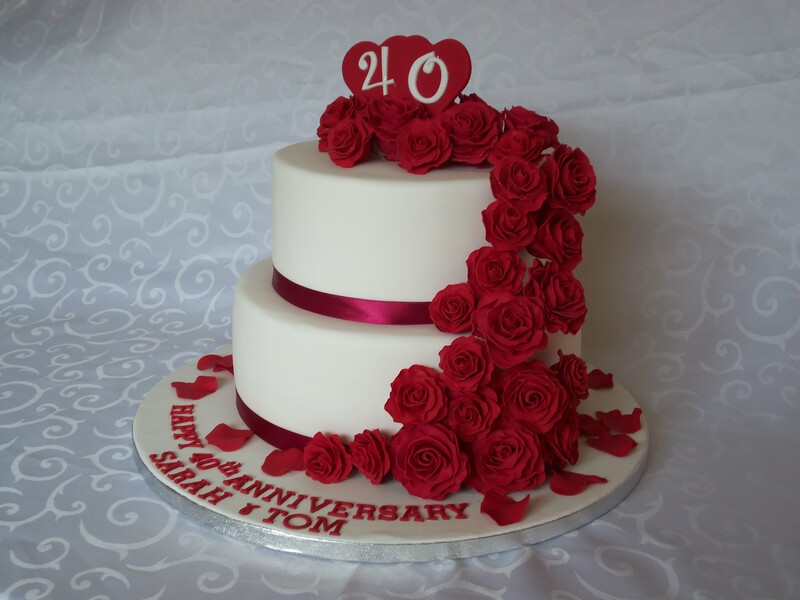 It was no easy feat but with Grainne’s guidance they ended up a treat! now they are ready for the big day, if they last that long!!! Make your own unique Christmas Centerpiece with a little guidance from Carmel! 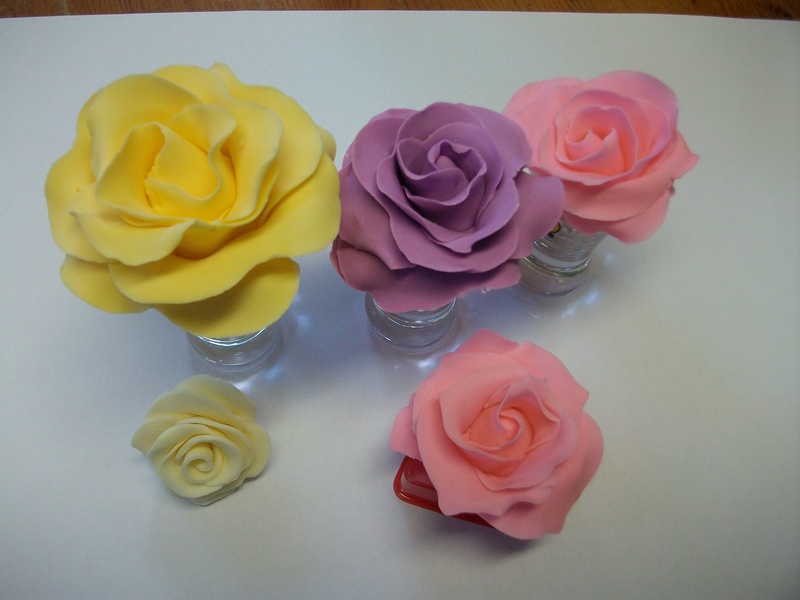 Just bring along a candle on Monday, December 9th, to the hall in Mercy Primary School and create your own arrangement! Greenery, oasis etc will be provided but please feel free to bring your own, you can never have enough greenery!!! Ivy and holly are great fillers for arrangements! Tea/Coffee will be nearby to keep you going! Contact Margaret on 086 6045024 to book your place. Starting at 9.30 a.m. This event is FREE for parents! Hurling Coaching started again this year again with Johnny and Barry. The boys enjoy their weekly sessions learning new skills and using those already learned in game situations. Our school attendance strategies continue to great effect. 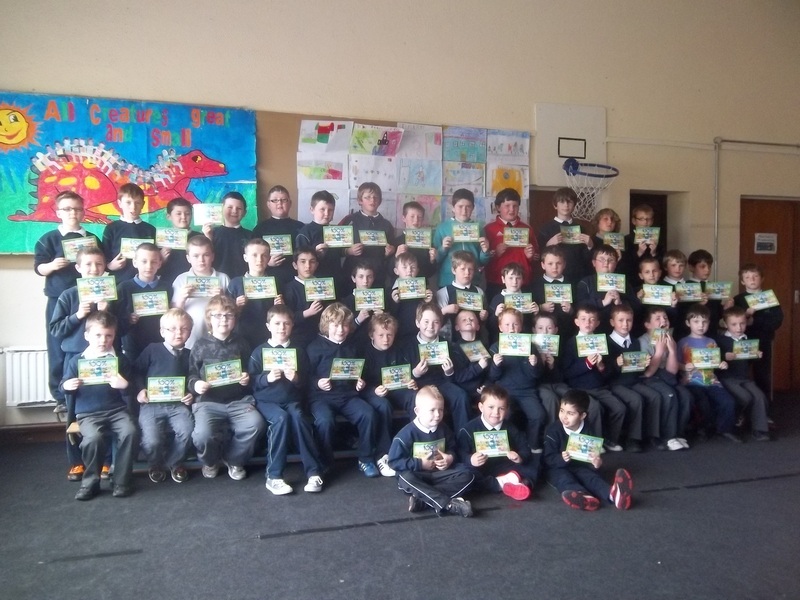 Pictured are the boys who received 100% attendance awards. of —- days for term 2 attended. On Thursday 31st January, we celebrated our 1st Grandparents day. to join them for tea, buns , biscuits and a chat. There was a great crowd of over 50 present.